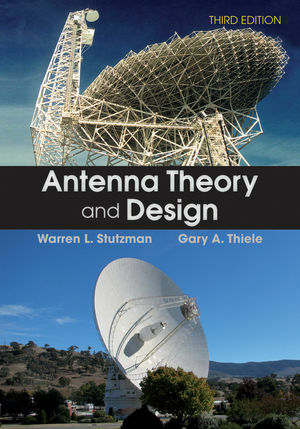 This introduction to antenna theory and design is suitable for senior undergraduate and graduate courses on the subject. Its emphasis on both principles and design makes it perfect both as a college text and as a reference to the practicing engineer. The final three chapters on computational electromagnetics for antennas are suitable for graduate work. Stutzman provides more of a pedagogical approach than its competitors, placing a greater emphasis on a concise easily understandable presentation of fundamentals and applications as well as computational methods. This third edition has been completely revised. New topics have been added on antennas for personal and mobile communications and base station antennas. Coverage of systems applications of antennas, arrays, microstrip and low-profile antennas, and antenna measurements has been updated and expanded, including more examples applied to modern applications.